The Flagman Hotel was fully renovated in 2014 and converted to a boutique style. Every room has different furnishing and modernistic bathrooms under a designer project. 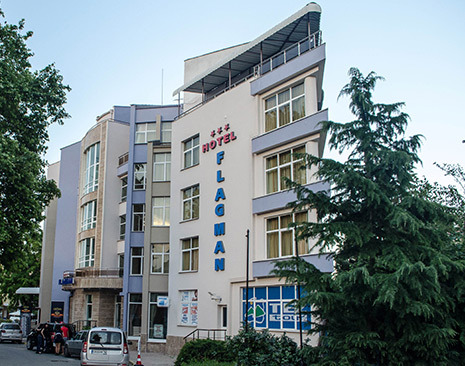 The hotel is located near the stadium “Arena Sozopol” (20 m). Prices are in EURO per person/day including 9% VAT, insurance and tourist tax. *Adult on extra bed pays 70% of the price. If you book your room until 31.01.2018 you will get 10% discount on the total value of bookings and have to pay 50% of the amount until 15.02.2018! Note! When you fill in the booking form, please specify “I am a participant at 7 ICC&GIS” and book your transfers in the “Additional preferences” field. 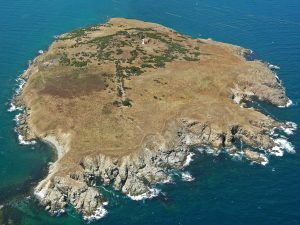 The island St. Ivan is the largest Black Sea Island on the water territory of Bulgaria. Its area is 660 dca, and its highest point is 33 meters above sea level, located at a distance of 1 km from Sozopol. 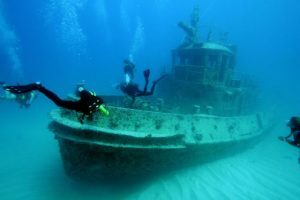 The island is a natural and archaeological reserve. It used to be a sacred place for the ancient Thracians, who built here their sanctuary there in the VII-th century BC. A large monastery was built here, which in 1308 was given the status of imperial monastery. In 1629 the Ottoman Turks demolished it. There are no organized tourist visits to the island. However, it is accessible for tourists. It can be reached by boat from the Sozopol Bay. For reservation, call to Mr. Petar Rupov, +359 886 845 744. Just 5 kilometers from Sozopol stands the newest spectacular attraction on the Black sea – the Castle of Ravadinovo. The Castle of Ravadinovo combines various building and decorating styles and materials and it is definitely interesting to see what some ancient castles must have looked like when they were new. 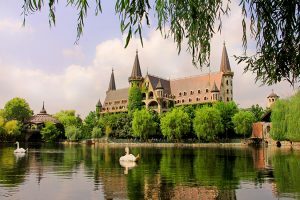 Many visitors perceive The Castle of Ravadinovo as an utterly mystical and romantic place, for others, it is the closest to a Disneyland or fairy tale adventure which they can experience in this part of the Balkans. The best way to describe the Castle of Ravadinovo is probably in a statement made by one of its visitors – ‘this is the most unusual building in the most unusual location’. Indeed, the castle bizarrely stands in the middle of a farm field, just a stone-throw from the highway. Its architectural design is unusual, a bit extravagant and exotic for this country. Considering the fact that its construction began about 20 years ago, the Castle of Ravadinovo is definitely one of its kind; and a huge project too. The castle is opened every day from Monday – Sunday: 8:30 am – 10:00 pm. zamaka.bg, +359 700 800 58, Ravadinovo village. 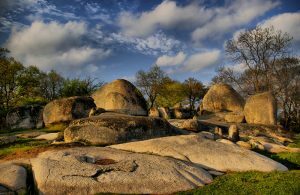 The rock sanctuary Beglik tash is located in reserve Ropotamo, 28 km south of Sozopol. The sanctuary has strategic position – there is a beautiful panoramic view to the sea and around. It was discovered in 2003 after excavation. Begliktash was a sacred place and there were performed sacred rituals from BC II. to the beginning of IV century AC. In these times these lands were inhabited by the Thracian tribe “skirmiani”. In the region were found lots of pottery, coins, tools, weapons, etc. Rock elements of the sanctuary has natural origin, but some of them were further grouped into different ensembles (“astronomical clock”, “rock bed” “Sacred cave”, etc..) depends on to the performed rites. Many of rocks has excavated pits that were used for placing ritual fluids or to collect rainwater. Some of the stones have carved ritual signs. The area around the river of Ropotamo was declared reserve in 1940. 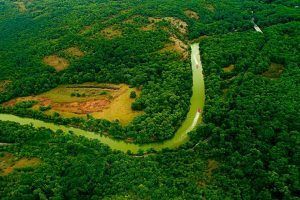 In 1962 its status was changed to National Park Ropotamo. In 1992, the status changes again to “Reserve with strict regime with an adjacent buffer zones” and in its borders were included pre-existing natural park “Ropotamo” (reserve “Water Lilies”), the reserves “Zmiyskiat ostrov” (“The Snake Island”), “Arkutino” and “Morski Pelin”. One of the most attractive sites in the reserve is the firth. It is formed at the confluence of the river in the Black Sea, where the sea water enters back to the river. Among other interesting sites and places are the sand dunes and beaches, dense forests, huge trees, whose roots and lower stems are in the river, the swamp of Arkutino, where water lilies, water duckweed and water yellow roses could be seen, the rock formation “Lion head” (and the remains of the fortress Ranuli), rock formation “Veselata skala”, numerous bays, the island “St. Thomas” and others. The reserve is located 20 km south of Sozopol. Half and full day trips will be available on site.